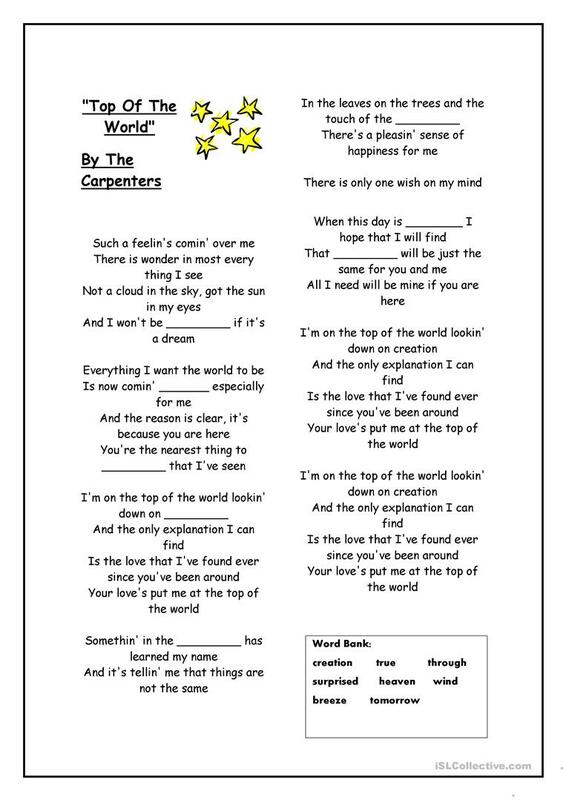 Listen to the 1972 song by The Carpenters "Top of the the world." As students listen they fill in the missing words, which are chosen from the word bank at the bottom of the page. This downloadable printable is meant for high school students, elementary school students and adults at Elementary (A1), Pre-intermediate (A2) and Intermediate (B1) level. It was designed for enhancing your pupils' Listening, Reading and Writing skills. It focuses on the topic and words of Music.